The official Twitter account for NASA’s Kepler, which surveys parts of the Milky Way Galaxy in search for hospitable planets, just got hacked. It’s unclear how or why the account was hacked, but it definitely tweeted a bum and a sketchy link. 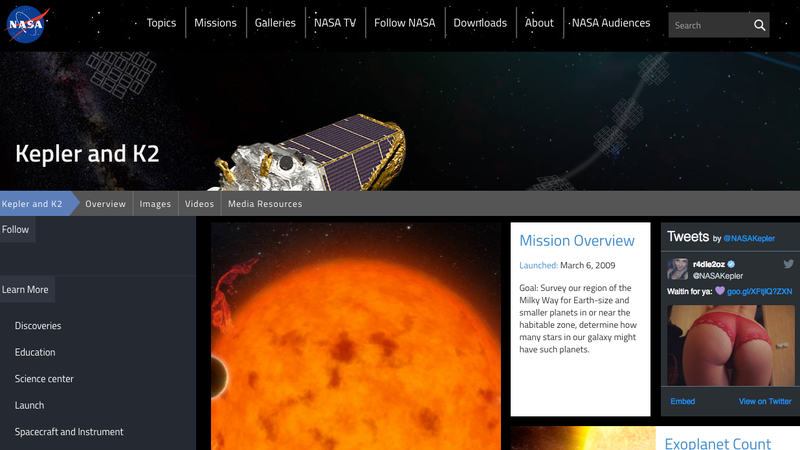 Unfortunately for NASA, the tweet also shows up in the mission website.